Il Collegio dei probiviri delle Arti Tessili decise però per la non riammissione e costrinse solo l’azienda al pagamento di un’indennità. "At the shoe factory Gallaratese Leva e Tosi work 50 adults, 19 children, 14 women, 7 girls. The men receive from 3 to 5 liras and 1 lira the children; 4.50 lire the cutters men and 1,20 liras the children; the women at the sewing edges process 1.80 liras, 0.80 liras the girls." "Workers on the afternoon of September 4, went on strike demanding the readmission of a worker (absent from the plant for twenty days because injured in a fight) fired by the company." Eventually the Board of Arbitrators of the Textile Arts decided against the re-admission and just asked the company to pay a compensation. si leggeva nelle pagine della rivista del Club Alpino Italiano nel 1932. In 1920, the two founders parted ways. 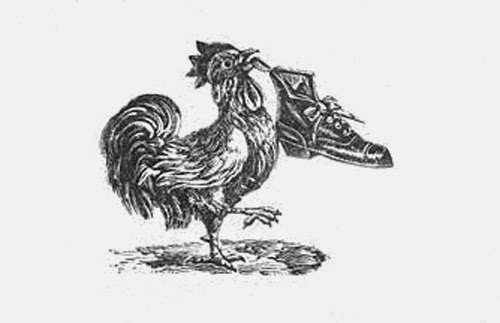 Leva founded the "Società Anonima Calzaturificio Leva", which operated under the brand name Aurea in Gallarate, Via Magenta, until the winding up in 1933. "ALPINISTS, SKIERS, here's your shoe In true amphibian material, waterproof, Rana brand. 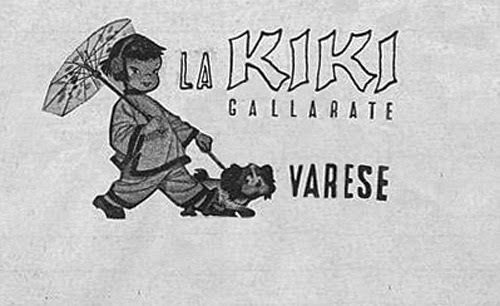 Solid, practical, stylish and cheap"
Dopo la guerra cambiò ragione sociale e divenne “Calzaturificio Gallaratese Srl” e alla fine degli anni ’50 nacquero nuove linee produttive, in parte dedicate all’esportazione, come “La Kiki”, “Thomas Shoes” e le scarpe per bambini “Tre Pulcini”. La proprietà passò a Carlo Piralli originario di Gargallo. 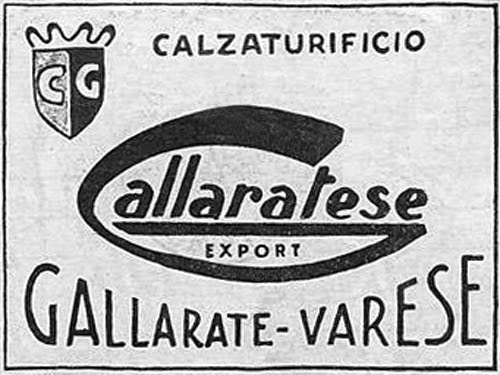 After the II World War it changed its name and became "Calzaturificio Gallaratese Srl". 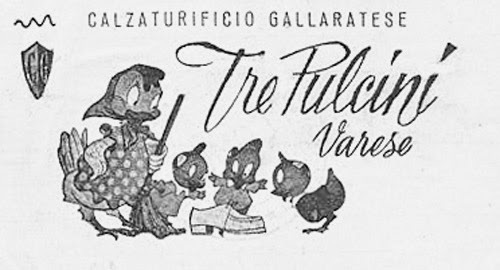 At the end of the 50s they started new production lines, partially dedicated to export: “La Kiki”, “Thomas Shoes” and kid shoes “Tre Pulcini”. The owner became Carlo Piralli. Proprio negli anni ’60 lavorò per quel calzaturificio come rappresentante Erminio Zaffaroni. Zaffaroni ci ha lasciato il ricordo più vivo del periodo quando il proprietario era Piralli. Lo si può rileggere QUI..
"This is no common shoe factory, but a fashion design company with advanced modeling processes and the most selected workers. Its products are showed only in high grade shop windows and its models, so required abroad, are much sought after worldwide"
Right in the 60s Erminio Zaffaroni used to work as a salesman for that shoe factory. Thanks to him we have the most vivid memory of the time when Piralli was the owner. It can be read HERE.